Heffron Drive just announced the dates for their headlining tour coming this Summer! The tour is hitting venues across the US in August, and the duo will be making some stops in Italy as well. 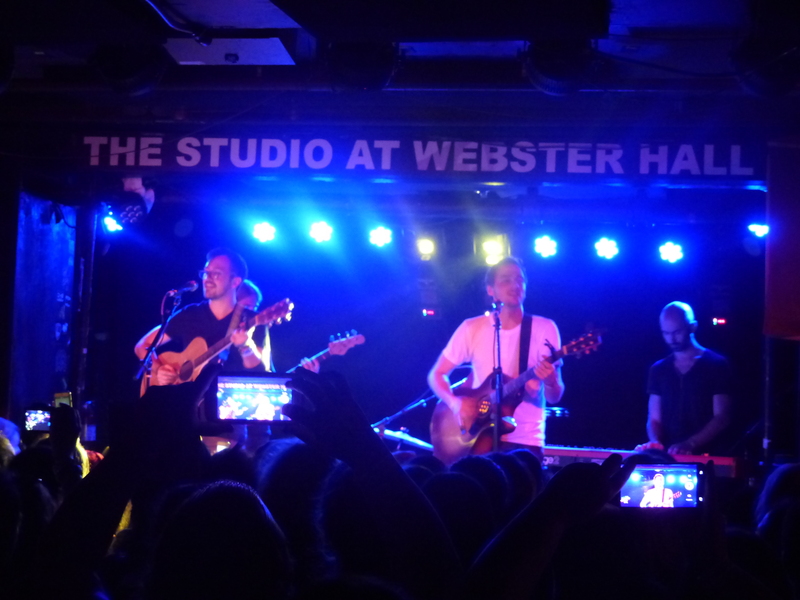 We’re thrilled Kendall and Dustin are coming back to NYC, they are always a lot of fun to see live! Check out the tour dates below and get your tickets now! Watch the video for Heffron Drive’s latest single “Rain Don’t Come,” below and pickup a copy of the song on iTunes now! Be sure to follow Kendall Schmidt, Dustin Belt & Secret Fangirls for more updates! Listen to “Rain Don’t Come” on Spotify now and stay tuned for the music video coming soon! Pick up your copy of “Rain Don’t Come” on iTunes or Amazon now. Follow Heffron Drive and Secret Fangirls on Twitter. Heffron Drive surprised fans with a brand new song on Spotify called “Eyes On You” this week. The track is the theme song to the CBS show “Hidden Heroes.” Kendall Schmidt and Dustin Belt have been working hard on new music while on tour in Latin America and it’s paying off! The new song is catchy with a funky guitar riff and a nineties-esque beat pulling it all together. Listen to the song on Spotify below. Tune into “Hidden Heroes” this weekend on CBS to see a special surprise by Kendall and Dustin! 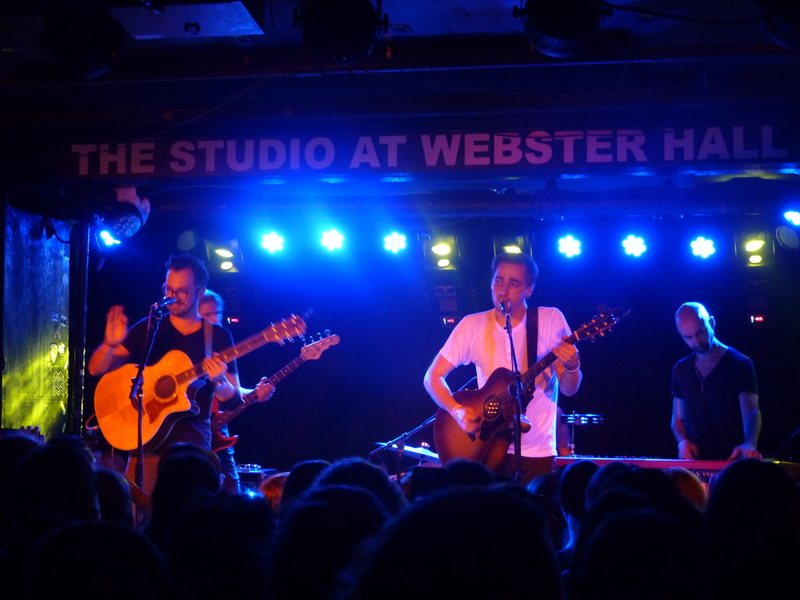 Heffron Drive kicked off their Summer mini-tour last night in front of a sold out crowd at NYC’s Webster Hall. The tour is in support of the “Happy Mistakes Unplugged” album that bandmates Kendall Schmidt and Dustin Belt released earlier this year. They played the full album from start to finish on acoustic guitars, bringing their full band along for the show. The enthusiastic crowd sang along to every word. You could tell it was an album they had lived with for a while. Kendall and Dustin were appreciative of their support, thanking them for being there and that they could tell the crowd appreciated the band coming out as well. It was a love fest all around. When it comes to crowd interaction, artists either have it or they don’t. Heffron Drive completely nailed it, responding to whatever the crowd shouted out without missing a beat, having small conversations with fans near the stage, and taking time to introduce each song. It made the show seem even more personal and intimate. 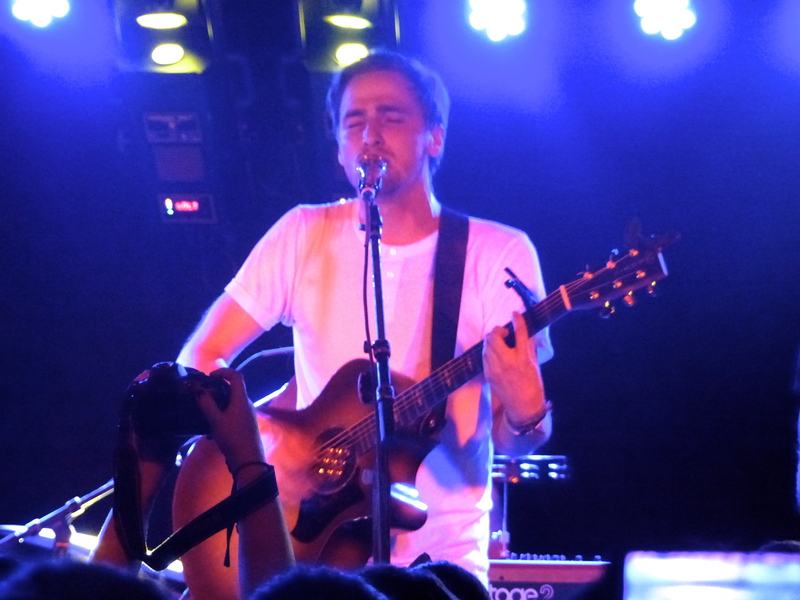 Highlights of the set included a stripped down performance of “Could Be Home,” which Kendall performed solo. He said he wanted to have at least one track on the album that had “one vocal, one guitar, one take.” More up-tempto tracks like “Had To Be Panama” and “Nicotine” had the whole place rocking, acoustic or not. The album features a duet with Kendall’s Big Time Rush bandmate Logan Henderson, who sadly wasn’t available for the show to sing his part. But no worries – the crowd filled in for his parts on “Passing Time” just fine! Check out the rest of Heffron Drive’s tour dates HERE and pickup a copy of “Happy Mistakes Unplugged” on iTunes now! Watch their video of “Division of the Heart” below. 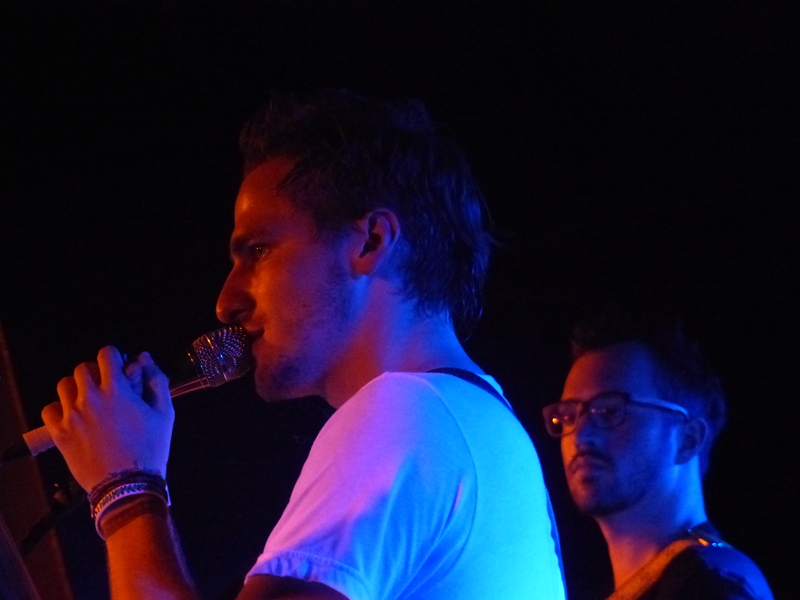 Be sure to follow Heffron Drive & Secret Fangirls for more updates!